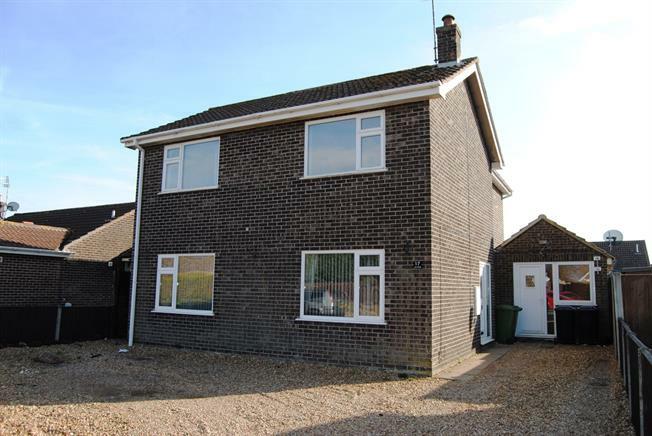 4 Bedroom Detached House For Sale in King's Lynn for Guide Price £315,000. An extended detached family home which offers plenty of accommodation and off-street parking. Downstairs the property comprises of lounge, open plan kitchen/diner, utility room, wet room and access through to the garage. Upstairs there are four substantial sized double bedrooms and a family bathroom. Outside there is plenty of off-street parking and a garage. To the rear is a nice sized enclosed garden with patio.